RADLEY LEATHER TAN HANDBAG SHOULDER TOTE CROSS BODY MULTIWAY BAG NEW!!! 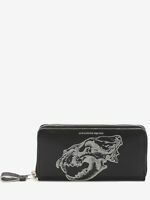 Alexander McQueen Studded Skull Leather Card Holder - NWT - 100% AUTHENTIC! Laura Ashley Wool/ Cashmere Blend Camel Coat, Size 20 - Lovely! Style: Totes Exact Dimensions: Width: 31 cm. Handle Drop: 9 cm. Height 32 cm. Immediate payment of £559.99 is required.